6 year old Dachshund Scooter joined our E3 Canine 30 Day Study. Scooter has some specific health challenges that his owner was hoping to see improvement in. Scooter not only loved his E3 Canine but also saw improvement in his energy levels. He has an issue with becoming overweight very easily and has hardly any energy. He has a genetic problem where he has extra vertebrae in his spine and it can make getting around difficult for him. I was hoping that it would help manage his weight a little easier as well as make his coat shinier instead of dull and full of dandruff. Did your dog like E3 Canine? He liked it so much that I can’t get him to eat regular dog food now without it! What results did you see after using E3 Canine for 30 days? 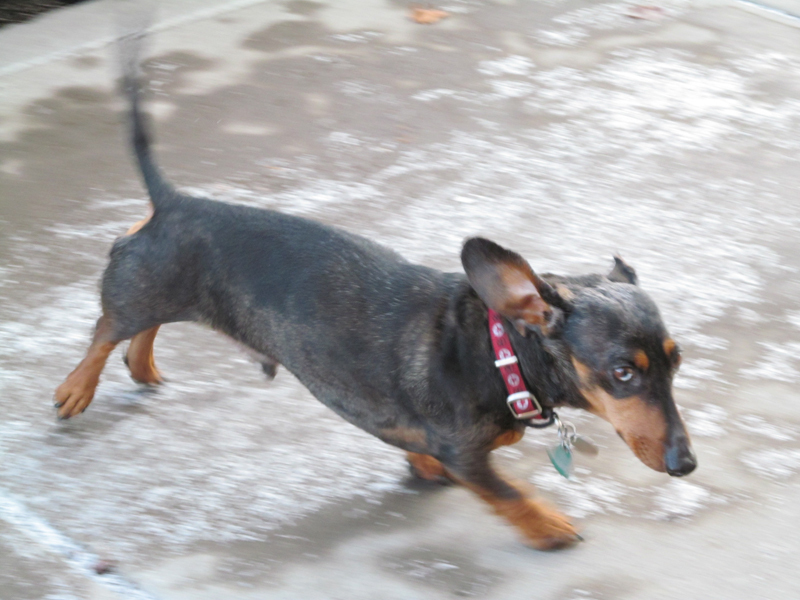 He had a lot more energy, his weight is much easier to maintain and his coat is extremely shiny and has no dandruff. Would you continue using E3 Canine for him? Do you think E3 Canine would be good for other pets? I do. As a matter of fact, we tried it on some cats and it worked great! What results did you see in the cat? What was happening with the cats in the first place is they were losing hair in their back ends. Once we started putting the E3 Canine in water their hair started to grow back in full. I would and I have! We are so glad you and Scooter are happy with E3 Canine! Thank you for joining our study and we are thrilled that Scooter is feeling better. Watch this video testimonial of Scooter! 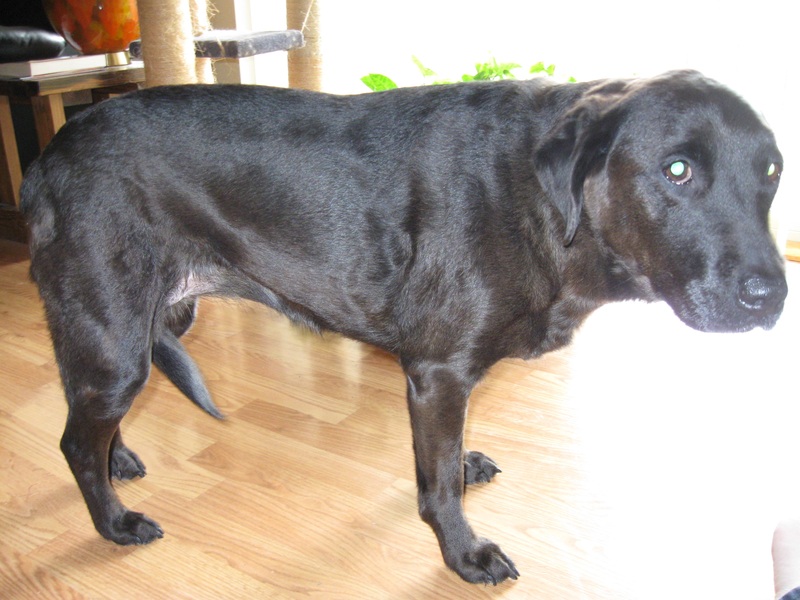 Katie entered her 10 year old senior dog Mila – a Border Collie/Golden Retriever mix into our E3 Canine 30 Day Study. She was concerned that she was starting to show her age. She has also recently started having very itchy skin and scratches until her hair falls out. Mila received the support she needed from E3 Canine and seems to be feeling and acting much younger. Does your dog have any specific health challenges? Mila still has good energy levels for her age, but she is starting to slow down a little. She also has very itchy skin and scratches the hair off her legs. She is allergic to flea bites and certain foods. She also has terrible breath! What were you expecting E3 Canine to do for your dog? I really just want to support my old lady as she gets older. It would be nice if it could help with her itching. Did your dog like E3 Canine? How did you serve it to them? Mila had no problem eating it over her food. What results did you see in your dog after using E3 Canine for 30 days? She does smell better! I also noticed she stopped scratching herself when she was drinking the algae. In fact, we ran out in the last week and she has started scratching herself again. While she already had good energy levels I did notice an increase in activity with her. Would you continue to use E3 Canine for your dog? Definitely! Do you think E3 Canine would be a good product for your other pets? I think it could be a very good product for other types of pets. I plan on trying it on my other dog. Would you recommend E3 Canine to other pet owners? Yes, and I have. My mom plans on trying it for her dogs. After seeing your dog’s response, would you be interested in trying E3Live for yourself? It’s not something I would normally consider taking, but it seems to be a very natural and safe product. I think it is something I might try. Thank you Kadie and Mila for joining our study! We are happy to see that Mila is feeling better. Watch this video testimonial of Mila! Does she (Kori) have any specific health challenges? Kori has blown out both knees in the last two years. So she was having quite a difficult time getting around. She was having dificulty walking; getting up the stairs was almost impossible. I was hoping it would be able to help Kori mostly with her joints and possibly a little pain management. You know, just help her get around more easily. There was some suspicion the first day; she’d never had anything like it before. By the second day she liked it a lot and hasn’t hesitated to eat it since. What results did you see after 30 days with the E3 Canine? She has a lot more energy. A lot! Kori is eager to get up and move around now. She has a lot more energy than she has had in the last 18 months or so. She goes racing up and down the stairs and she loves playing now. So it’s a big change! Would you continue to use E3 Canine? I would, I definitely would! The change in her is amazing. She’s gone from a dog that I was thinking was maybe on her way down to just being happy and active, loving to go for walks again. I think it’s a great product for all pets! 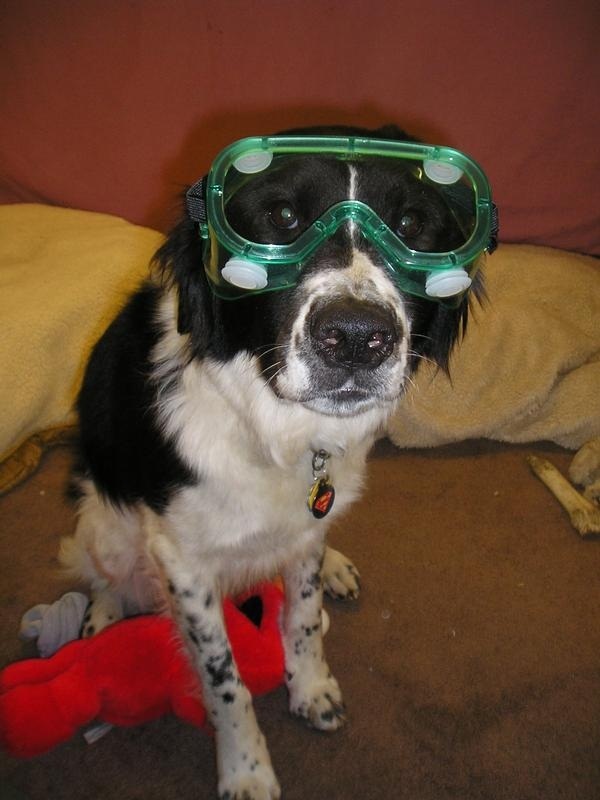 After seeing your dog’s response to E3 Canine would you consider taking E3Live for yourself? You know, I had never thought about it before this study, but I think I would. Thank you for participating and for your excellent feedback! We’re so excited E3 Canine helped Kori! The Holiday can be stressful! This stress can transfer to your pet whether it’s from travel, company or just picking up on your stress. Stressed can cause them to be poorly behaved, sick or even end up lost if they escape your house or car. In this blog post, I will share some tips to keep your pets safe and healthy for the Holiday Season. If you celebrate the Holidays in your home, your pet may be less stressed than traveling. There are still dangers to keep in mind though. Decorations, certain plants (Holly, Mistletoe, Poinsettia), extension cords and rich foods can all cause problems for your four-legged family members. Make sure plants are out of reach of both kids and animals and electric cords are tucked away out of reach. Rich Holiday foods are very tempting to your dog. Small amounts are okay to share, but in large amounts they can cause stomach upset and even a trip to the vet. Make sure you also protect your trash and take it our right away to prevent your pet from getting into it. Remember that cooked bones can splinter and damage intestines. If possible, leave your pet at home for Holiday meals or with a pet sitter. If you have permission to bring them along, keep in mind that someone’s house may not be set up to have animals inside. Dogs are stressed by entering a new home, especially one they are not familiar with. 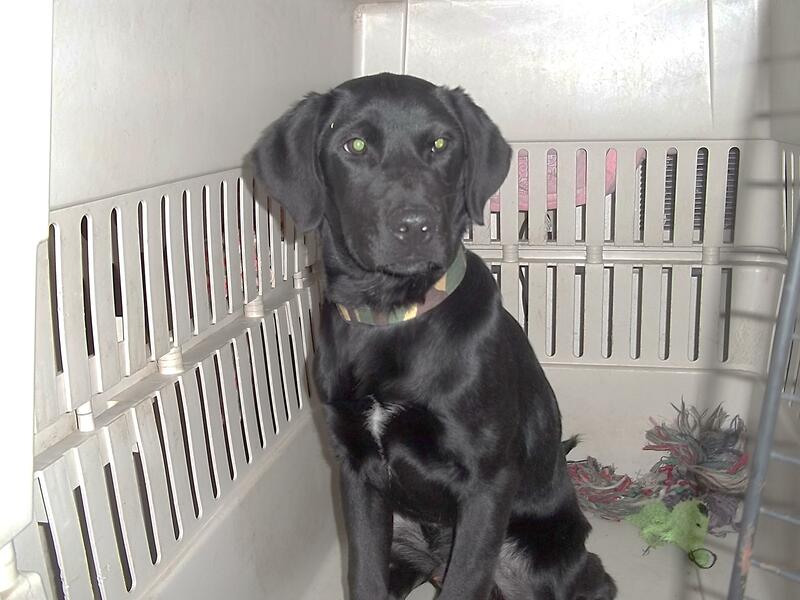 Consider bringing a soft sided crate or blanket from home for them to use. This will keep them quiet, out of the way and prevent unwanted behavior. While some people do not mind pets, others will be offended if your dog is drooling on their knee begging for food. Traveling with pets can bring its own set of challenges. Again, consider leaving your pet at home with a sitter where they will be in a comfortable and familiar place. If you do not have access to a sitter, make sure you take some extra steps to keep your them safe. Flying with your pet comes with a full set of rules and regulations. Depending on the size, they may have to be checked and travel in their crate in cargo. Make sure you feed them lightly (or not at all) at least several hours before the flight. Limit their water intake at least two hours before the flight to help prevent accidents. Make sure before you get to the airport your pet’s travel crate is airline approved. You will also want to have all your paperwork (and a copy of it) available. Attach the second copy of your paperwork to their crate. I tape a page protector with the information inside to the top of the kennel. You can also add travel tags to your pet’s collar with your cell phone, starting point and destination. Driving with your pet can be extra stressful. Hopefully they are seasoned car travelers, but if not make sure you do a few short trial rides before a long trip. If you are driving out of state you may need a health certificate to travel across state lines. A veterinarian will give your pet an exam and provide the certificate for you (Usually for around $35). Also make sure your animal is microchipped and wears a collar with tags, rabies included, and a travel tag with. You should also keep a pet and human first aid kit in the car. One item you may consider bringing is water from your home. Often animals will refuse to drink strange water. Make sure they are always on a leash for potty breaks and secured in the vehicle so they cannot bounce around while you are driving. Even the best behaved pups can become anxious having extra changes in their home, especially when you add company (known or unknown) to the mix. If your dog is not comfortable with the extra activity, make sure they have a room to themselves where they can quietly lay down and chew on a treat. They will thank you for it! Overall, simply take some extra steps to prevent your best friend from getting in trouble this Holiday Season. You might find your own stress levels drop! And more than anything have a safe and wonderful Holiday Season from your E3Live Family! 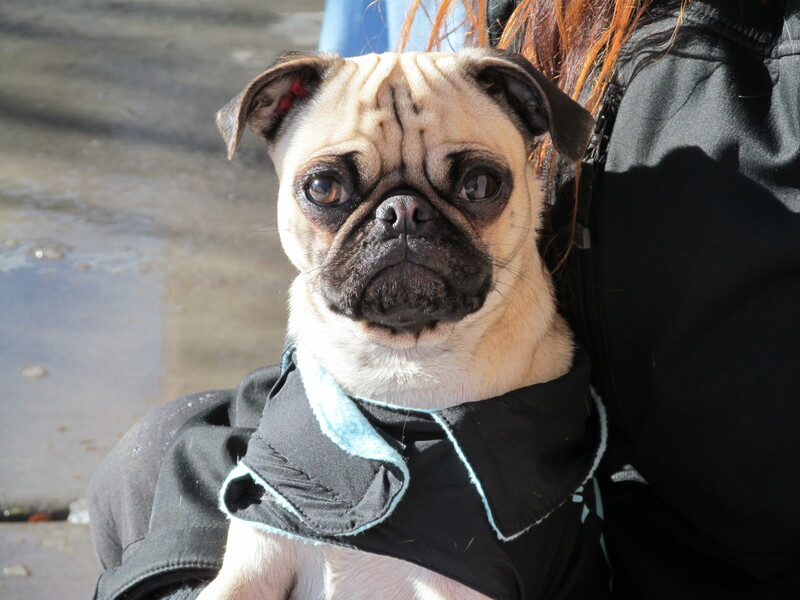 Roxanne heard about our E3 Canine 30 Day Study and entered her one year old pug Sweet Pea. Sweet Pea has some specific challenges that will follow her through life and Roxanne wanted to offer her all the support possible. After 30 days she love what E3 Canine has done for her dog. Does Sweet Pea have any specific health challenges? Sweet Pea broke both of her front legs as a puppy. The vet warned me she will eventually have arthritis and will need extra nutritional support throughout her life. Really, the only reason I tried E3 Canine was the huge nutritional content. I didn’t expect to see any major results, but knew that it could help long term. Did your dog like E3 Canine? How did you serve it to them? Sweet Pea loved E3 Canine! I made ice cubes with it and she gets super excited when she knows it’s time for them. Well I noticed she does seem to have more energy and runs around a lot. Her coat is super soft and shiny now. Also, she used to have a really bad odor from her rear end, but that’s gone. Would you continue to use E3 Canine for your dog? I don’t think she would let me stop! I plan on using this for her entire lifetime. I do. I think I might try it on my lizard. I have already. My mom has a pug that is going to be trying E3 Canine. I am definitely going to! It seems like a really great product and I love how it is all natural. Check out Sweet Pea on video! Thank you participating with Sweet Pea in our study – We’re glad to welcome to you our E3Live Family! The Holidays in our house are filled with cooking and family. I love baking with my children! It’s something I grew up doing with my mother and grandmother. I hope that one day they will pass on the tradition to their own children. We bake almost weekly this time of year (usually cookies) to hand out to family and friends. Don’t forget your four-legged family members this Holiday Season. 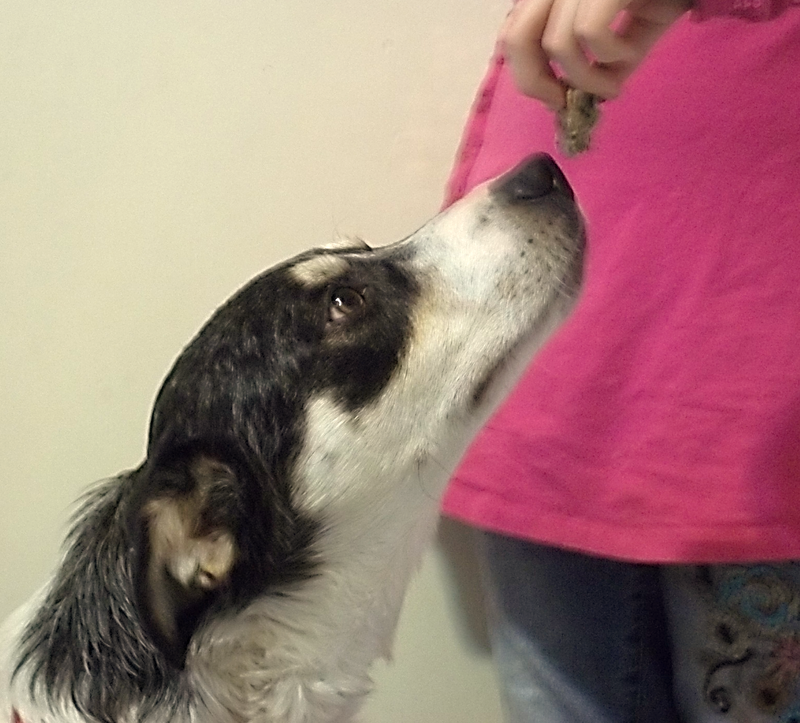 My dogs love freshly baked treats – as much as the kids love to sneak cookies to them! 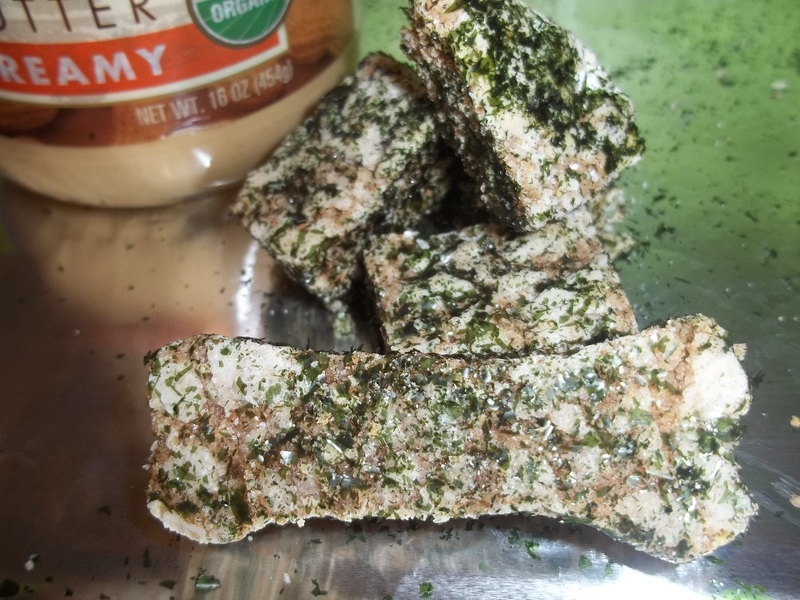 These recipes will help you create treats that are dog friendly and much healthier for them to eat. Here is a Holiday recipe you can share with your favorite pup! Mix all ingredients until smooth. Scoop by the spoonful onto a greased baking sheet. Flatten each ball with a fork in a crisscross design. You can also use your cookie cutters to make fun shapes. Put them in your oven on the lowest temperature setting and let them dry for two hours. You can also bake them at 350 degrees for 8-10 minutes. Roll them in the E3 Canine powder for fun seasonal color and extra nutrition! Just make sure you never cook or expose E3 Canine to heat sources. You can store cookies in a sealed container for up to a week, but I prefer to keep mine in the fridge. Enjoy spending the Holidays with your loved ones! puppy loves the taste so much he chases his bowl across the floor to clean it and beg for more. On the rare occasion, you find a dog that just doesn’t like new additions to their feeding routine. I thought I would share some fun options for feeding E3 Canine Fresh Frozen to your favorite pampered pooch! You can definitely try pouring E3 Canine into a bowl or over your dog’s meal. Some dogs really love it mixed in with yogurt or applesauce for a low calorie treat. You can also use it in treats (look at previous posts for a recipe). But our favorite way to feed E3 Canine Fresh Frozen is to makeice cube treats! They are simple to make, easy to feed and really minimize your time spent thawing and measuring. You can feed them as a frozen treat if your dog likes ice or simply pull one out each night to thaw for the next day. Thaw: Place E3 Canine Fresh Frozen in warm water for approximately 15 minutes or until thawed. You may also leave it in the fridge to thaw overnight. Freeze any product that will not be used within 7-10 days. Feed: Offer your dog one or more ice cubes daily! Shelf Life: Canine is good for two years in the freezer and 7-10 days in the fridge. It must stay cold at all times. It is best to store your E3 Canine Cubes in a plastic bag or covered tray. Make sure you check out our video below of Kristin and her dog Bentley making E3 Canine Ice Cubes!